United had failed to beat the Wasps in the three previous games between the sides this season, with United being pegged back by late equalisers in all three clashes. Although it was a game United fans would have expected to win, nobody within the club was taking their opponents lightly. Robbie Neilson made three changes from the win over Ross County in United’s previous match. Captain Fraser Fyvie had not recovered from the injury he picked up in the game in Dingwall, and was replaced in midfield by Christophe Rabitsch. In addition, Nicky Clark and Callum Booth both returned to the team, replacing Stewart Murdoch and Billy King, both of whom were on the bench. There had been very little to choose between the teams in the three previous games this season, and the start of this game was no different, with the game being bogged down in midfield and hampered by niggly fouls by both teams. Ben Siegrist was the first of the two goalkeepers to be forced into action, when after 11 minutes he had to look sharp by rushing from his line to dive at the feet of Jake Hastie as the Alloa striker burst through on goal. United’s first chance came a minute later through a long range effort from Nicky Clark, but the shot from the former Dunfermline striker sailed well wide of Neil Parry’s right-hand post. Shortly after that, Fraser Aird cut in from the United right hand side and hit a curling shot from around 20 yards out, although the Canadian’s effort on goal sailed just wide. However, in the 17th minute the Wasps stunned the home side by taking the lead. Remarkably, as in the previous two games between the sides at Tannadice, it came from the penalty spot. Dario Zanatta broke into the United penalty area and saw his run ended rather unceremoniously by a foul from Paul Watson. Alan Trouten stepped up and smashed the penalty past Ben Siegrist for his third goal against United this season, sending the United keeper the wrong way as he did so. For the first time under Robbie Neilson, Dundee United found themselves behind. However, they were able to equalise within a minute. Callum Booth fired in a cross from the United left, and although the cross was rather overhit Fraser Aird was able to retrieve the ball at the back post. His cross from the bye line found Nicky Clark on the edge of the six yard box, and he was able to hit a first time shot past Neil Parry in the Alloa goal to level proceedings. 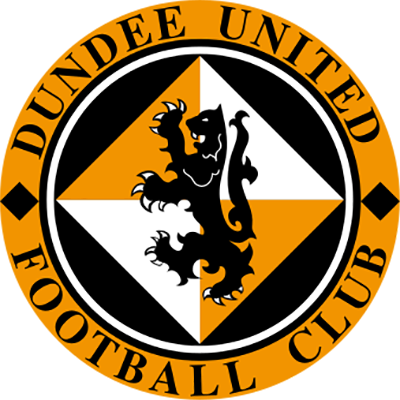 Within a couple of minutes of levelling the game, Dundee United were able to grab the lead. United won a corner kick on the left. The corner had to be retaken as the referee was still in the process of booking Alloa’s Jon Robertson for dissent, rendering the header from Rachid Bouhenna which hit the outside of the post irrelevant. From the retake, Fraser Aird’s corner kick was headed into the net by Pavol Safranko, who beat Alloa goalkeeper Neil Parry to the ball for his seventh goal of the season. With ten minutes to go until half time, United grabbed a third goal, and this time it was their turn to score from the penalty spot. Paul McMullan picked up the ball in midfield and drove towards the Alloa penalty area. He managed to get into a position where he could shoot but before he could get a shot away he was fouled by Steven Hetherington, and a penalty was the inevitable result. United had missed a few penalties in the last year although this time there was to be no mistake, with Fraser Aird taking the responsibility and he fired the penalty high into the back of the net to make the score 3-1 to the home side. Any thoughts that United may have had that the game would be an easy victory would soon be dispelled, as Alloa halved the United lead three minutes later with a stunning goal. Rachid Bounhenna committed a foul on Dario Zanatta 25 yards from goal, and just as he did in the previous league game at the Indodrill Stadium, Iain Flannigan curled a quite wonderful free kick into the corner of the net to reduce Alloa’s deficit to 3-2 and bring down the curtain on a breathless first half. Given the events of the first half, it was no surprise to anyone that the second half was to prove a much more sedate affair. 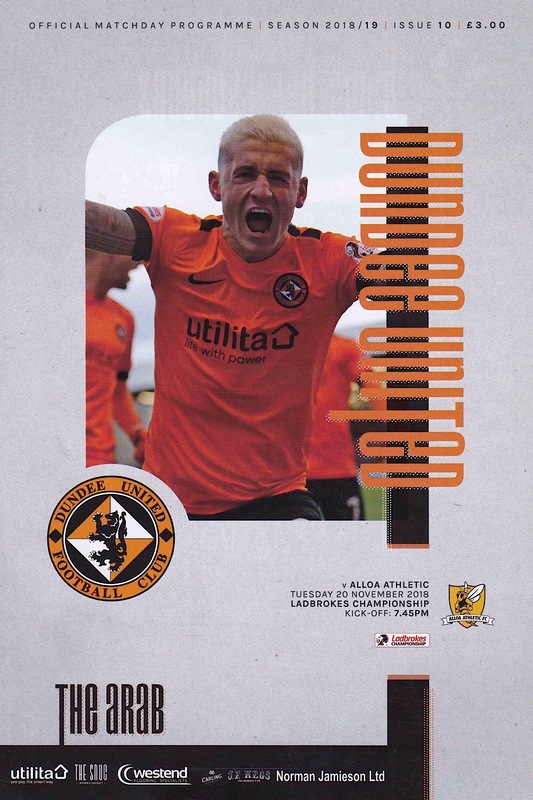 United certainly had the better of proceedings, but due to a lively and tenacious performance from the Alloa players, they were never comfortable until the latter stages of the game. The home side did have a fair amount of early pressure in the second half, but were unable to create any chances until eleven minutes into the half. Again, Fraser Aird was the architect when he delivered another great ball into the Alloa box. Nicky Clark directed a glancing header towards goal from around the penalty spot, but Neil Parry did brilliantly to get down low and tip the ball around the post for a corner kick. 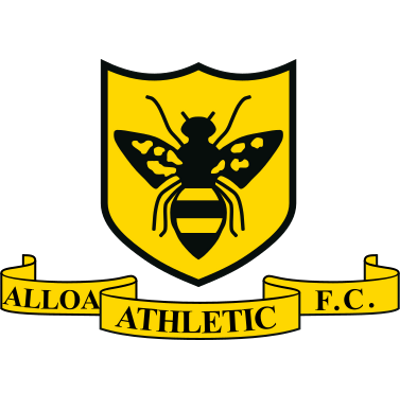 Midway through the second half, there was a huge scare from the home side when Alloa squandered a massive opportunity to level the game. After some tidy play in midfield, Dario Zanatta beat the Dundee United offside trap and bore down on goal. He looked all set to slot the ball past the onrushing Ben Siegrist but almost out of nowhere William Edjenguele intervened with a superb last ditch tackle to snuff out the danger. With thirteen minutes left to play, United had a great chance to seal the points when Nicky Clark played in Fraser Aird, but the Canadian shot narrowly over the bar from just inside the Alloa penalty area. However, just when it looked like United were to suffer a nervy finale to the game, with five minutes left they got their fourth goal to finally make the three points safe. The goal came on the counter attack after some pressure from the away side. Sam Stanton played substitute Craig Curran through on goal, and the Englishman smashed the ball past Neil Parry from around 15 yards out to make the score 4-2 and finally ensure a United victory.